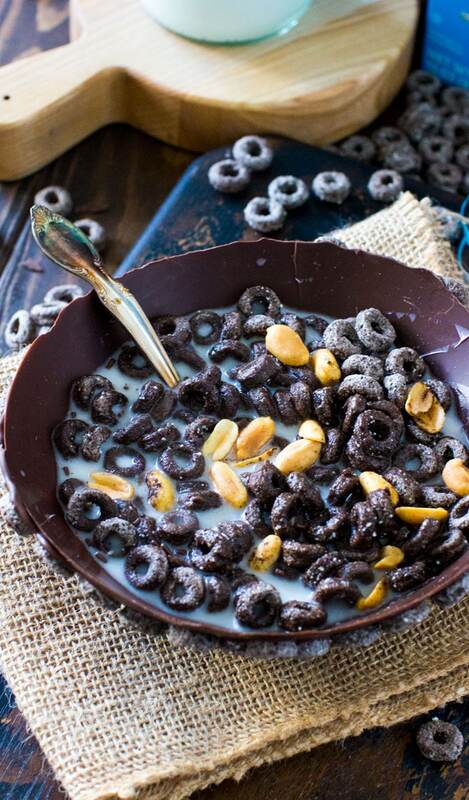 Edible Chocolate Cereal Bowl is the only way I want to be served my cereal for the rest of my life. Sweet, chocolaty, crunchy and entirely edible! This bowl is a perfect breakfast idea that kids will love and enjoy. For other breakfast desserts, check out my popular Pumpkin Cheesecake Pancakes and Monte Cristo Grilled Cheese Sandwich. 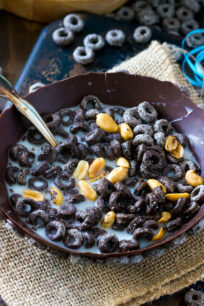 Edible Chocolate Cereal Bowl is so worth waking up for. 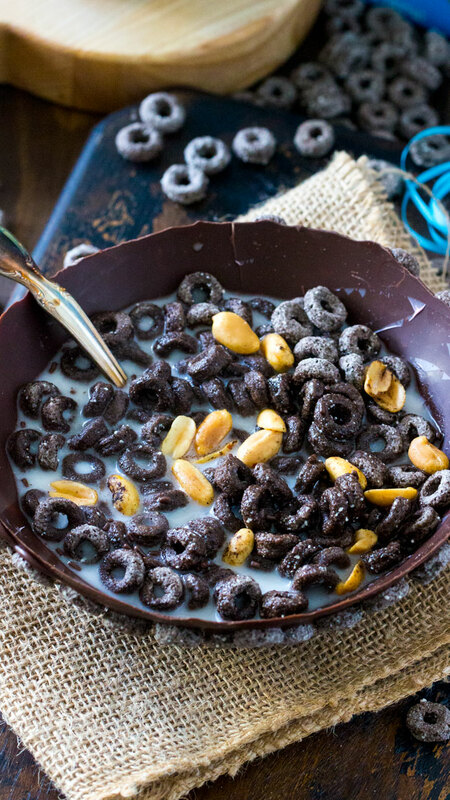 Believe me, if you or your kids have a hard time getting out of bed, make a few edible chocolate bowls served with delicious cereal in. The whole family will be up at the crack of the dawn! No kidding! I love my cereal in the morning, so does my son, that’s why I am very excited to partner with Post Consumer Brands. 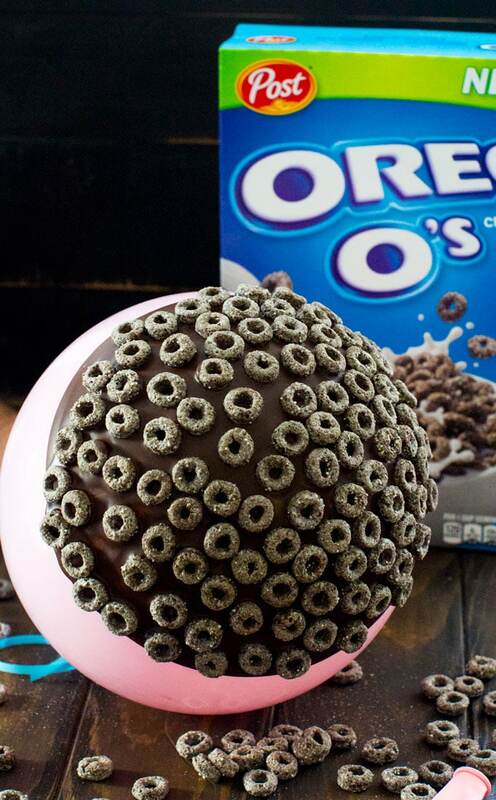 Like it wasn’t enough to just have tasty “Ores Os” cereal, now you can have your cereal in an “Oreo Os” Edible Chocolate Cereal Bowl that is also very easy to make! Don’t be scared, this might be just the easiest and most fun project you have worked on in a while. If you make it once, you will make it twice, see the rhyme that I did there, hehe? Ok, let’s get to that bowl quickly. 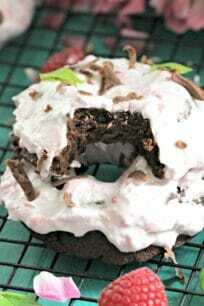 As I can hear you already munching on your favorite “Oreo Os“! Run to your local Shoprite and get some asap! Chocolate – well, yes, that was an obvious one. I highly recommend using chocolate wafers, not chocolate chips. The chocolate wafers are specifically designed to be melted and used for dipping. So they are easier to work with, especially if you are a novice. If you can’t get your hands on any, use good quality chocolate, chop it and melt it over a water bath. 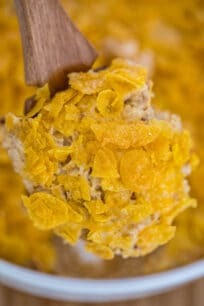 Cereal – another obvious one, but really, this recipe only requires two ingredients, I told you its an easy one! Balloon – finally the inedible part, make sure you wash it and let it completely dry before blowing it. You want it to be clean, just wash the outside. Also, don’t blow it into a gigantic balloon, you need it as the size of the bowl you intend to make, and to fit into the bowl with the melted chocolate, otherwise there is no way to dip it. Add the chocolate to a large bowl into which the blown ballon will fit. Melt the chocolate for 40 seconds, stir well and if needed, melt for another 30-40 seconds. Stir well until fully melted, smooth and shiny. Let the chocolate cool a bit so it's not hot when you dip the ballon into it; 5-7 minutes at room temperature should be enough. Dip the ballon into the chocolate so its well coated. Secure the ballon by pressing it with the opening down, chocolate side up, in a small bowl which will basically keep it in place. Quickly top it with cereal, one by one and slightly pressing them into the chocolate. Refrigerate the ballon for 20-30minutes or overnight. I put it in my fridge and just prop it up with a few glasses. Remove ballon from the refrigerator, and using scissors, cut the ballon opening, while holding it closed with your hands, so you can let the air escape slowly, not to break the bowl. Gently, peel off the ballon off the inside of the bowl. 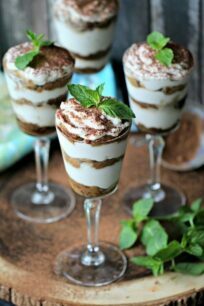 Add cereal and milk, eat and enjoy! This is such a fun idea! I don’t think there will be any issue getting my kids out of bed in the morning with these waiting for them!! What a fun idea! 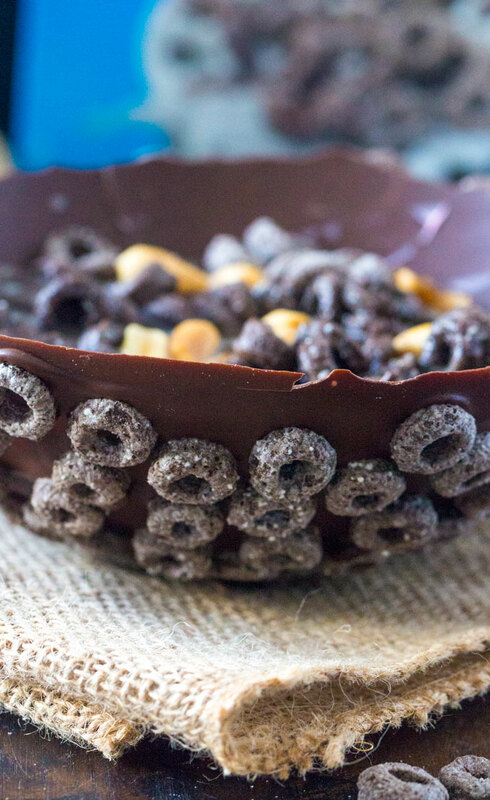 Who wouldn’t love this edible chocolate cereal bowl?! I LOVE this idea… and I would gladly wake up for it! I would LOVE to have my cereal in this! This is such a cute idea! My kid would love this! What a fun idea! Perfect fix for my chocolate craving! We rarely eat cereal. This would be a fun way to enjoy it!